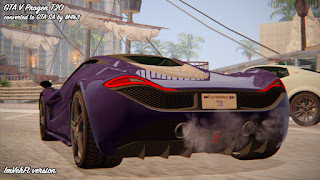 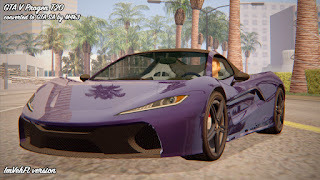 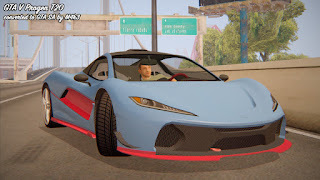 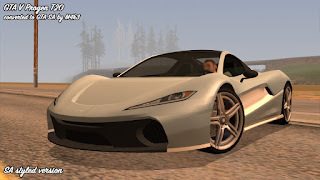 GTA 5 Progen T20 v2 converted and edited to GTA San Andreas by M4k3. 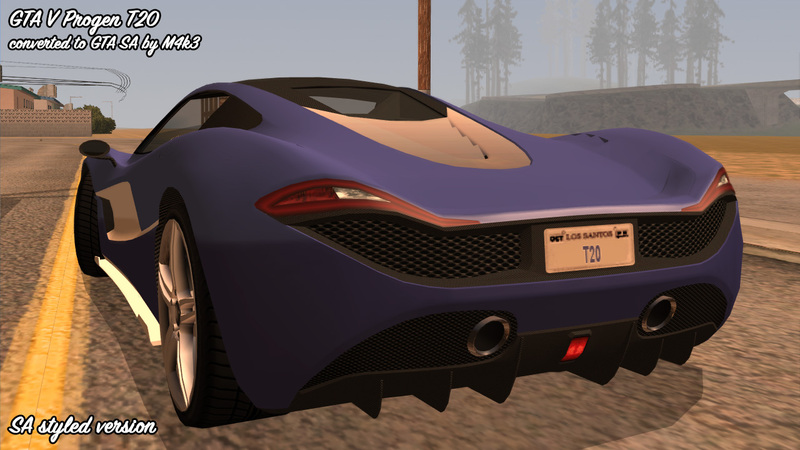 GTA SA styled numberplates, custom numberplates can be installed with paintjobs. Tunable in TransFender + custom roof, front splitter and rear diffuser can be installed with paintjobs. 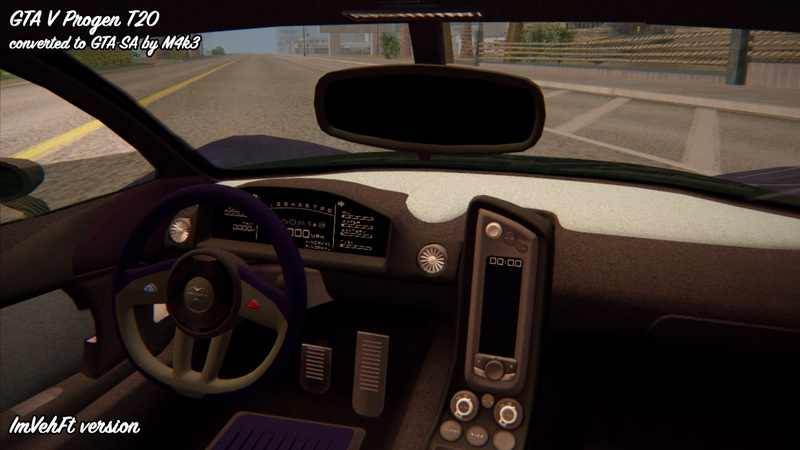 Supports Active Dashboard 3.2.1 mod(digital speedometer, tachometer, fuel and temperature gauges, digital odometer, digital clock, window wipers). 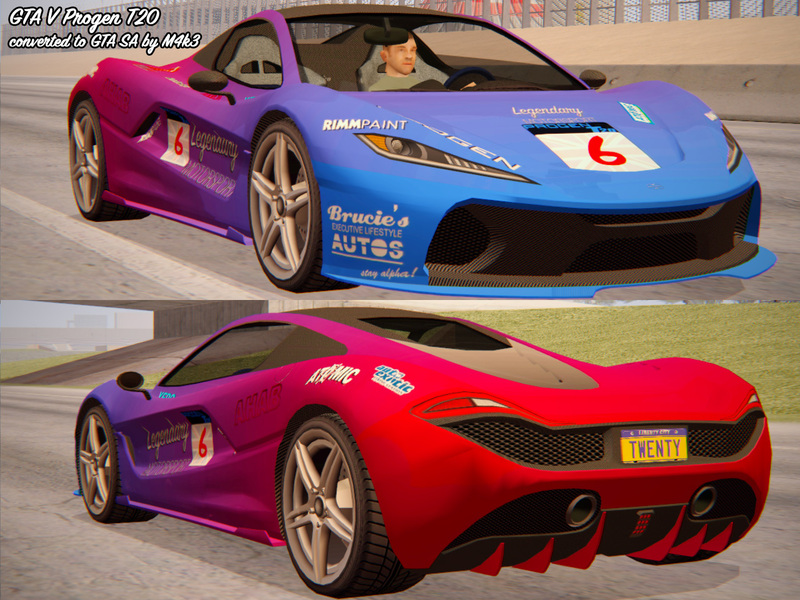 4 car colors support (primary - body paint, secondary - body paint and interior, tertiary - wheels, quaternary - windows tint). I need this car ! 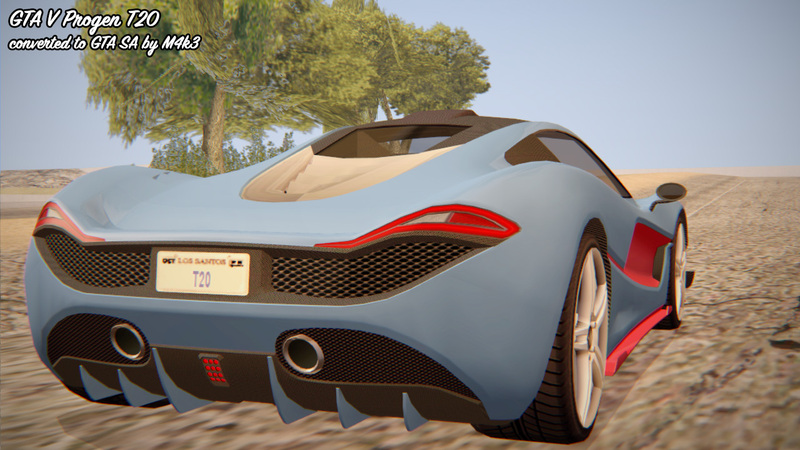 Thank you very much M4k3 and good work !! 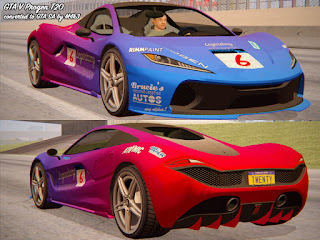 WTF the paintjobs are just amazing good job man. Thanks For Upload This Car! !